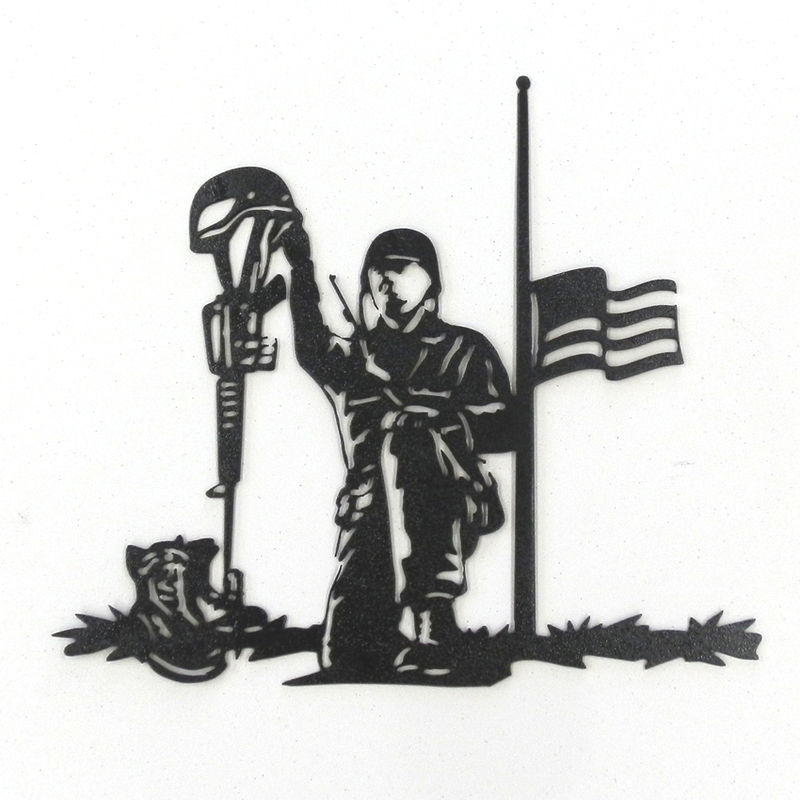 This kneeling soldier metal art design is made out 14-gauge steel. The soldier is in uniform and with his gear (hat, gun, and combat boots) standing with an American Flag in the background. It is powdercoated in gloss black texture. The dimensions of the kneeling soldier design are 12.5" wide x 11" high.